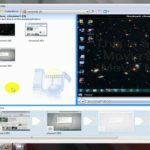 Windows Movie Maker EASY Tutorial is for those just starting to learn video editing. Microsoft FREE Windows Movie Maker 2.6 for Vista & Windows 7 can be used to make your Youtube videos quickly. Want it for FREE, go to the link below and download it. I said 2012 in the title because its no longer the year 2011.